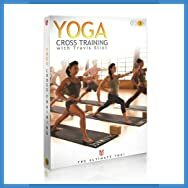 Learn here the benefits of it as well as how to start Yoga sport training for athletes or for lifetime fitness. 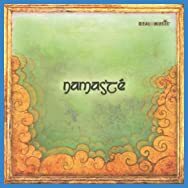 For the general populace, yoga is associated with meditation, chanting, deep breathing, contemplating one's navel, and other esoteric practices. Very few people would associate it with sports. These days, however, coaches and athletes are seeing many benefits that yoga can offer in the field of sports. These benefits are well-documented and worth looking into if you are searching for ways to improve your athletic performance, whether you are a professional athlete or you are into a sport for pure recreation and enjoyment. Prowess in any sport can be improved by yoga, most especially those that require flexibility, strength, and controlled breathing. The different poses in yoga stretch the muscles and make for greater flexibility. 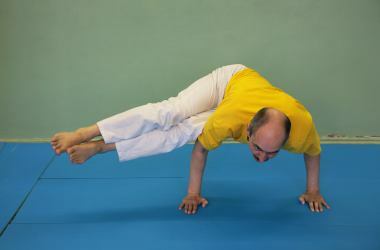 By holding the different postures, the muscles become stronger and longer. These poses work the major muscle groups in the entire body, including the back, abdomen, neck, shoulders, legs, hands and feet. Flexible muscles and joints make any athlete less prone to injury. Yoga poses also coordinate with controlled and deep breathing. The lung capacity is improved, thus boosting aerobic health. Deep breathing also improves oxygen uptake, sending life-giving oxygen to all the cells in the body. One of the many benefits of yoga in sports is correcting muscular imbalance. Muscular imbalance can happen when an athlete or sportsman uses the same set of muscles in one particular way. A good example is golf. Most, if not all, golfers swing the club in one direction. The same muscle groups are used all the time. This means certain muscles are very well developed while others are not. Yoga stretches and strengthens all the muscle groups, relieving tension on the muscles used for the sport while working out the other muscles that are neglected when playing golf. In addition, yoga improves balance and coordination -- characteristics that are vital in any sport. One of the many sports that benefit from yoga is cycling. Cyclists can spend hours on the saddle, bent over the handle bars. Their backs and shoulders become stiff. Arm and leg muscles also tighten from steering, controlling the bike, and pedaling. Yoga poses for the spine and back muscles relieve tightness of the back. Stretching helps ease stiff muscles and joints in the legs, arms, shoulders and neck. Doing light yoga poses is not only good for a warm-down routine, they are also perfect for warming up before a ride. Yoga promotes mindfulness, which enables athletes to have more focus and be more attentive to their game. It strengthens the mind and body connection, which is what every athlete and player needs to stay ahead of the competition. Whether you are a runner, basketball player, tennis player or weight lifter, the practice of yoga sport training can benefit your sporting prowess. So if yoga is so beneficial to children and mental health, then why isn’t it in more schools? Actually, it is. Since 2002, there has been a push to include yoga sport training in public schools as part of the physical fitness curriculum. The goal has been to see if adding yoga to the standard recess and physical education curriculum has any positive impact on focus, attitude and behavior, and the results have shown an overwhelming increase in attentiveness in class, behavior and test scores. Today, yoga is practiced in over 100 schools in 26 states, with other states taking notice and pushing for time in their curricula for kids to experience the benefits of yoga. Gym programs are acknowledging its benefits, and even sports teams have discovered its uses at not only strengthening their athletes, but at calming and focusing them before a game. The mental benefits of yoga are apparent for the young, but what about for seniors? Yoga breathing exercises called pranayama, especially those that focus on rapid breathing, have been found to help counter chemical cell secretions known as prostaglandins. Doctors believe that prostaglandins can cause the brain inflammation that causes Alzheimer's. In Japan, a study was conducted that looked at 25 individuals over a 30 day period to see if yoga had any benefit to their well-being. In this test group, 15 of the participants were senior citizens aged 65 or older. The groups were asked to perform 90 minutes worth of yoga twice a week, after which they were to provide a sample of salivary amylase to look for a significant change. Salivary amylase is a chemical that exists in saliva that helps break down complex sugars into simple sugars. Its levels can indicate ulcers, stress and problems with the pancreas. As you become stressed out, your levels of amylase increase dramatically. For most people, an amount of 21-101 U/L is generally considered to be a decent range of amylase. In the seniors tested, the group started with an average of 111.2±42.7, while the younger group began with a range of 60.74±31.8. The groups were tested after each yoga session to see if yoga had any effect on stress levels. After one month, the senior group dropped in their average amylase count to 83.48±39.5, while the younger group dropped to 42.39±24. In other words, the introduction of yoga to both groups served as a catalyst for the body to produce less of the salivary chemical associated with stress and stress-related problems. This test is not an isolated incident. Tests have been run in Germany, Utah and Washington D.C. with similar results. Some of these studies went for over 90 days, but they all showed a significant reduction in stress, an increase in the ability to sleep easier and in dealing with stress-related issues, like PTSD. In fact, some of the participants in the studies reported an overall increase in their well-being by as much as 65%. Did you know that there are actually nine basic styles of yoga? This article will give you an overview of each of the different styles of yoga which you can learn. This is probably the most common form of yoga in the Western world. Hatha yoga involves cleansing rituals and breathing exercises to help move the body’s energy through breathing. It is also known for many of the posture exercises which are part of this style of yoga. This is also known as The Royal Path and uses meditation, concentration and breath control. Many instructors refer to Raja yoga as the yoga of the mind. Many like to use Raja yoga after they have perfected control of their body with Hatha yoga. 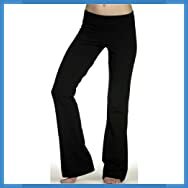 These are commonly referred to as action yogas. 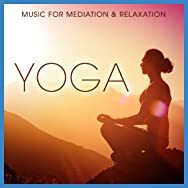 Kirya yoga means calming the mind through self study, breathing techniques and meditation. Kirya yoga acknowledges that our divine energy is stored in the lower parts of our body. This technique allows a person to help move this energy up through your spine. Those that follow this style of yoga attempt to increase virtue by working for others and not thinking about their own personal desires and goals. You are learning to perform a selfless action. This involves learning about the divine presence. It incorporates reverence, devotion and perpetual remembrance as it relates to each individual. This type of yoga opens your heart and allows you to achieve a feeling of unity. This involves the path of knowledge and helps you open up your enquiring mind. This is done by questioning, through meditation and contemplation. If you participate in Jnana Yoga you will find your way of thinking becomes questionable. These three styles of yoga are often grouped together. These styles study writings and rituals as well as sacred sounds. To learn these styles you must learn from a very qualified instructor as you will need to be emotionally, morally and mentally prepared for these teachings. Even though Yoga is considered a spiritual exercise many people today partake in Yoga for the exercises alone. They do not want to be involved in the spiritual side of Yoga. This is perfectly acceptable and actually one of the main reasons why it is so popular. The exercises alone are of such a great health benefit and can easily be performed without the mind sessions which some people may find uncomfortable. A good yoga sport training session should last about 30 minutes and it is best to use an exercise mat or blanket to sit on. 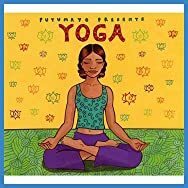 Yoga poses for beginners fall into several categories and this article will go over the basics of each. These poses in the upright position help to relieve the tension, aches and pains in your body on the outside. While internally they help keep the kidney’s functioning correctly. Your circulation and breathing could improve along with your pelvis and lower back area. With regular practicing standing poses will help improve the strength of your knees, shoulders, hips and neck. These poses in the seated position are calming poses and have been proven to help relieve stress. You will find that your nerves become relaxed and soothed and you will feel less tired. Many people find that they sleep much better after performing these types of poses. Poses in this class fall into two categories, the prone and the supine pose. The prone poses are the ones done on the floor with you facing downwards. Prone poses help to rejuvenate and energize your body. You are usually lying on your stomach or holding yourself on your hands and knees. The supine poses are those done while lying on your back. These are more restful poses and are normally done at the end of the yoga session. These movements help to strengthen your lower back and your hamstrings. They also help with improving your circulation and your digestion. These movements help to encourage deep breathing and are great for anyone suffering from depression. Your body and mind will feel more energized after performing these movements. These movements help to stimulate some of your organs including the stomach, liver and your kidneys. These poses can be done in either a sitting or standing position. The sitting twists are very intense and increase the mobility of your spine. These poses are also great for relieving headaches, stiff neck and shoulders and backache. An inverted posture reverses gravity and brings fresh blood to your heart and head. These poses are great for anyone needing to improve their circulation and refresh your tired legs. 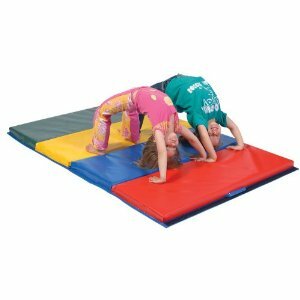 These poses will help develop strength and agility along with improved muscle control and coordination. Yoga is considered a full body workout because it moves your body in all directions in a very gentle way. Each muscle group becomes stretched and toned. You will find that you develop more flexibility and enjoy greater mobility in your everyday life. 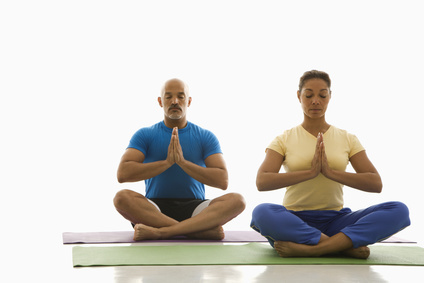 Yoga is particularly helpful for anyone suffering from circulatory and breathing problems. It's true that exercise gives you a high, but the good feeling comes after your yoga sport training workout, not during. People who work out find it helpful to have something that motivates them and keeps their mind off the pain, discomfort and fatigue they are feeling. For many people, music is what keeps them going when they exercise. Studies reveal that music motivate athletes to perform better. Runners are able to run faster and longer; cyclists pedal harder. Many long-distance runners rely on music to motivate them to finish a race, whether it's a 5K run or a marathon. Music also pushes bodybuilders to train harder and lift heavier weights. Promotes dissociation. When you listen to music, you tend to focus on the pleasant sounds and ignore negative feelings like fatigue and pain. You'll be able to exercise longer. Aids in performance. Choosing the right kind of music allows you to achieve your fitness goal more easily. 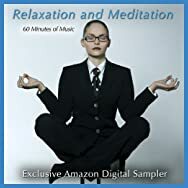 Fast music can energize if you need to exercise more vigorously while mellow music helps you relax when performing yoga or Pilates. 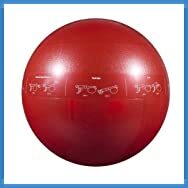 Improves motor coordination. Select the best tempo of music for your workout to make the exercise movements smoother and more fluid. When running, you can match your cadence to the tempo of the music. For motivation. An exercise regimen will work only if you follow it religiously. Many people struggle to adhere to their workout, but if you listen to your favorite music while exercising, you're more likely to continue working out. What's the Best Kind of Music for Optimum Performance? Music must be carefully selected to produce the best results when working out. For cardiovascular exercise, choose music with an upbeat tempo and a strong beat and rhythm. Running, jogging and cycling can benefit from music that forces the exerciser to match their cadence with the music's tempo. 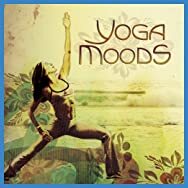 When performing yoga or Pilates or simply cooling down, slower music puts you in a relaxed mood that is in keeping with these mild forms of exercise. It also helps if you keep the volume low. 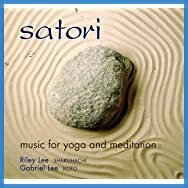 The music's slow tempo promotes the slow and graceful movements of these exercises. Music is important to many people, and that includes athletes. By choosing the right music for your workout, you will see your performance soar. If you have just started taking yoga classes you will have discovered that you need to wear comfortable clothes. This will just make performing the exercises that much easier for you. Everyone wants to look great while wearing any type of workout gear. This article will point out some of the main things you should be looking for when you go shopping for clothes for yoga classes. It doesn’t make a difference if you are purchasing yoga clothes for men, women or children a few rules still apply. 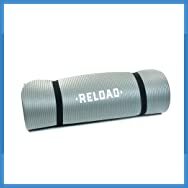 You want to make sure your yoga clothes will hold their shape at all times, even after you have finished exercising. Yoga clothes need to be a little stretchy for ease of movement. 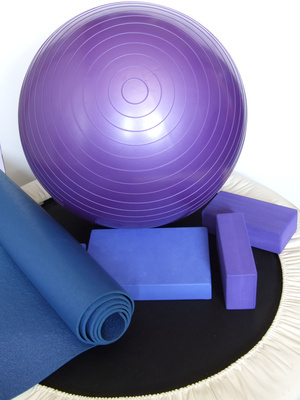 Look for materials which will allow your body to breathe and those that will keep the sweat off of your body. When purchasing your clothes be sure they are easy to wash and will dry quickly. You will probably want to wear them almost every day and don’t want to be waiting for your clothes to dry. Many of the yoga outfits may need to be hung to dry instead of be put into your tumble dryer. This is because they are made of cotton which is very breathable but could have the tendency to shrink a little. Yoga clothes can be purchased in many different locations. Some of the top retailers today have included lines of yoga clothing in their stores. This includes stores such as Sears and Addition Elle amongst many others. If you are not sure what types of yoga clothes are in fashion do a quick search online to see what is popular. When choosing your clothes make sure they are not too tight or too lose, as they will become annoying. If you prefer to shop online for your yoga clothes then you won’t be disappointed. Many retailers offer great deals to their online shoppers and will even provide you with free shipping directly to your front door. 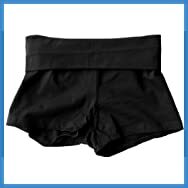 The great thing about yoga clothing is that it comes in many styles and colors. It will be easy enough to find an outfit which suits your personality perfectly. Yoga clothes are great to wear around the house on any occasion. 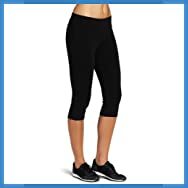 They are lightweight and so comfortable you just might find yourself wearing your yoga outfit for doing the housework or chasing your kids around the house. Yoga is specifically designed to work all of your muscle groups. For this reason it is becoming known as a full body workout. 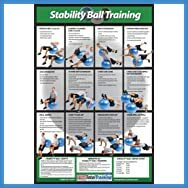 It encompasses cardiovascular fitness, leg strengthening and fat burning. A lot of times, struggling with learning yoga or how to start yoga sports training is the result of a lack of knowledge or understanding. There is a lot of power and relief that comes from learning about lifetime fitness topics like this. You’ll be surprised about how much a little research can help you with mastering the art and sport of yoga. There are many studios that teach you how to start yoga sport training or for relaxation, or for body mind spirit balance. But for those of you who want to learn in the privacy and convenience of your home, you can do it with the professional guides that you can buy online. 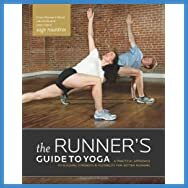 Below here I'm featuring more pages with helpful how-to-do-it tips on how to start yoga sport training. 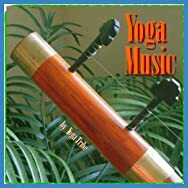 Feel free to submit your own story or article about yoga sport training and I will create your own page here with your contribution for the community to read. 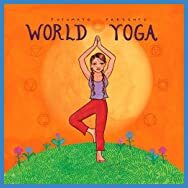 Yoga For Beginners - What is Yoga All About? 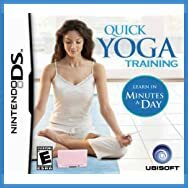 Back to HOME PAGE of this yoga sport training section of the site.